In 1859 Charles Blondin became famous for walking across Niagara Falls on a tightrope. After his first successful attempt he began to do it many times with different gimmicks. But, the time he is most famous for is the day he walked across niagara falls blindfolded pushing a wheelbarrow. The crowd ooh’d and aah’d with each step, the tension mounting over each movement. And when he completed his 1/4 mile walk the crowd erupted with cheers. The story goes that Blondin played to their emotions asking if they believed he could do it again. The crowds cheered that yes they believed he could do it again, that he was the greatest tightrope walker ever, that he could do anything. Then Blondin responded by inviting someone from the crowd to get into the wheelbarrow. The crowd that had just been cheering, dead silent. . . No one volunteered. There is a difference between believing something and having faith in something. The crowds believed Blondin could do it, but no one was willing to get into the wheelbarrow. For the las couple weeks we have been looking at the parable of the prodigal son, and we’ve learned a great deal. But, none of these were actually the point of the story. This story was told in a real place, at a real time, for a reason, and this time I want to get at the reason Jesus told this story. In order to do that we have to back up to the beginning of the chapter. At the beginning of chapter 15 of Luke we find that “tax collectors and sinners” were all gathering around Jesus, and instead of sending them away, Jesus welcomes them. And there’s some pharisees and religious leaders who begin to mutter about Jesus hanging out and eating with sinners. They seem to have this idea that if Jesus was really of God he would be too good to hang out with the likes of these folks. But, Jesus doesn’t seem to care about appearances. He doesn’t seem concerned at all about what people think of him. He knows what he’s there to do, and if it makes him look bad in the process of it, it doesn’t really seem to bother him. Actually, in some places he’s accused of being a glutton and a drunkard. He hangs out with the wrong crowd, and people, especially religious people, don’t think highly of it. So, he tells a series of stories. The first story is about a good shepherd who saves a wandering sheep. The second is about a woman who finds a lost coin. And the third is about a father who has two sons. Most every sermon I’ve heard on this story has made the focus the son who rebels. They tend to talk about God’s love, and how nothing you can do is beyond the reach of God’s love, how God is always welcoming us back. These are good messages, it’s even a part of the first of this series. But, it’s not the point of the story; it’s not the reason Jesus tells the story. The story is actually about the older brother who refuses to go in to the party. The story ends with the older brother refusing to go in, and the father telling him that everything he has belongs to the older son, but that they must celebrate because the other son was lost and is found, was dead but is alive. If this story were a movie, we wouldn’t be too pleased with the ending. We are left asking what happened. Did the older brother go in and join the party? Did he decide to stay outside while everyone else had a great time? And that’s the point. Jesus is asking this question of the pharisees and religious leaders. These other people are growing closer to God and they are upset that Jesus isn’t acting the way they think he should. The question is whether they will join the party, or whether they’ll continue to sit there and criticize. It reminds me of another event in Jesus’ life, the story of Zacchaeus from Luke 19. One day Jesus was passing through Jerico. By this point people knew who he was and crowds began to gather to see him. And there’s this tax collector named Zacchaeus, who was a wee little man, a wee little man was he. Since he was short he couldn’t see over the crowd, so he climbed up a tree in order to see Jesus. Jesus spots him in the tree, tells him to come down, that he has to stay at Zacchaeus’ house today. And everyone begins to scoff because once again he’s hanging out with “sinners.” As a result of this encounter Zacchaeus pledges to give half his possessions to the poor and give back four times the amount of anything he had cheated from anyone. But this is the question, why did Zacchaeus have to climb the tree? Yes, because he was short, and yes, because he had no friends. But there’s one big reason Zacchaeus had climb the tree. There are all these people trying to get close to Jesus, and their attempts to get close to him is keeping Zacchaeus from being able to get close to him. A large group of good, well meaning people are simply trying to to get close to God, and in the process they are keeping others from getting close to God. The crowd in this story is a lot like the Pharisees that caused Jesus to tell the prodigal son story. There are places where Jesus even says to do what the Pharisees say, for the most part they’ve got pretty good doctrine. But faith is something beyond belief. In the book of James he says that even the demons believe the right things and shutter. Faith is beyond belief, it’s an actual trust. And what we’ve really been doing for the last couple weeks is talking about faith development, growing a mature faith. In the first stage of faith we most all want something from God. Maybe it was some big evangelism crusade, and you wanted God to save you from Hell. Maybe you had gone your own way for a while and everything came crashing down around you, so you wanted God to fix your life. But, whatever the reason, for the most part most of us get on a path towards God because like the two sons we want something. But hopefully, if we hang around long enough we’ll get to a second phase. In the second stage we move from wanting something from God to wanting God. Hopefully, we’ll hang around enough and experience God enough to discover that a deep experience of God is more valuable than the stuff we can want from God. And it’s not that we no longer want things from God. We will still want safety for family, for the cop to not pull us over when we spot them on the side of the road, etc. It’s just that wanting something from God is no longer the focus, we sort of transcend that, but it’s still included. But, if we get close enough something changes in us and we move toward the third phase. In the third stage of faith we move from wanting God to having been around God enough that we become somewhat like God. Our focus goes from getting God to wanting what God wants. Our thoughts and heartbeat become increasingly like God’s. In this stage of faith we are actually willing to sacrifice our relationship with God in order to see happen what God wants to happen. Imagine being in Jerico that day, seeing the crowds, seeing Zacchaeus. And imagine for just a minute that you wanted to see Jesus, but once you see Zacchaeus it becomes more important to you that he see Jesus than that you see Jesus. Imagine, you go to Zach, you take him by the arm, and you begin to drag him through the crowds, and you bring him to Jesus. Of course, the irony is in the fact that in giving up wanting to see Jesus so that Zacchaeus can encounter him, you actually get closer than you would have otherwise. It is possible to believe all the right things and want a deep relationship with God more than anything else, and to actually stand in the way of what God is wanting to do right there in your midst. Last week we talked about the story of the demoniac, but we didn’t actually finish the story. After the swine have died, and the people have asked Jesus to leave the man from whom Jesus had cast the demons asks Jesus to let him go with him. He wants to become a follower of Jesus. Now in the gospels we have a lot of people Jesus invites to follow him. Some leave everything they have, drop what they’re doing and immediately follow him. Others just can’t do it. They have too much wealth, they have something going on, or some other excuse. But this time someone asks to follow Jesus, and it is one of the extremely rare occasions where Jesus says no. Jesus tells the man to go back to the town and tell of what God has done for him. This is a picture of the ruins of a byzantine monastery at Kursi. 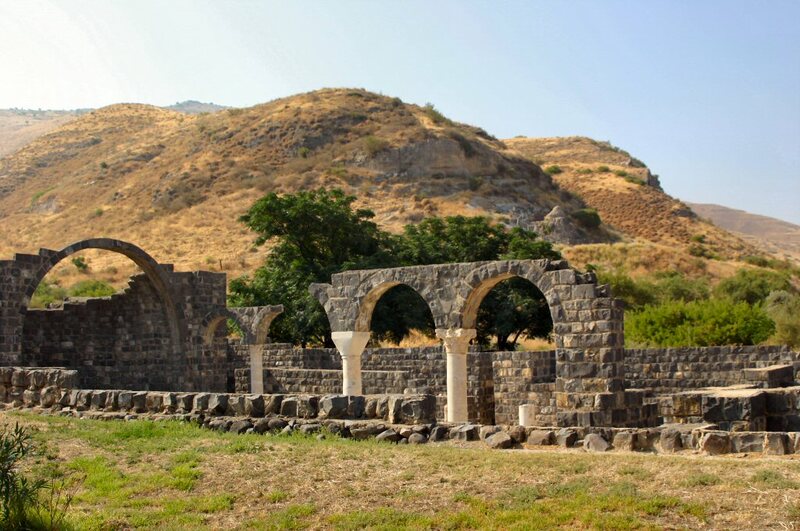 Kursi actually became one of the major epicenters of the early church, and it all traces back to an encounter one man had with Jesus, and the fact that he was willing to listen to Jesus enough to go about doing what Jesus wanted rather than following Jesus himself. First stage, we want something from God. Second stage, we want God. Third stage, we want what God wants. Because it’s completely possible to be so focused on getting your personal relationship with God deeper that you can actually stand in the way of others getting closer to God. It’s possible to be so occupied with getting closer to God that you actually stand in the way of what God is wanting to do. The point of our faith is not to simply have a list of correct doctrines to check off. It’s a bit like a trampoline. We can know everything about it, what the frame is made of, how many springs it has, what it’s weight capacity is, etc. We can believe that it will support our weight and that we could jump on it. But, the point of a trampoline is not belief, it’s to jump. And unless we actually jump on it, we don’t actually have any faith in it. Similarly our faith is something that is to be lived out. We are not to simply believe a bunch of things about God, we are to trust God. We are to live out our faith, not in order to try and earn God’s love, but as a response because we have been so captivated by God’s divine love that we already have regardless of what we have or haven’t done. We respond with this lived out faith because we are compelled to by the vision of what God wants this world to be like and we want to be agents of helping bring heaven to earth. 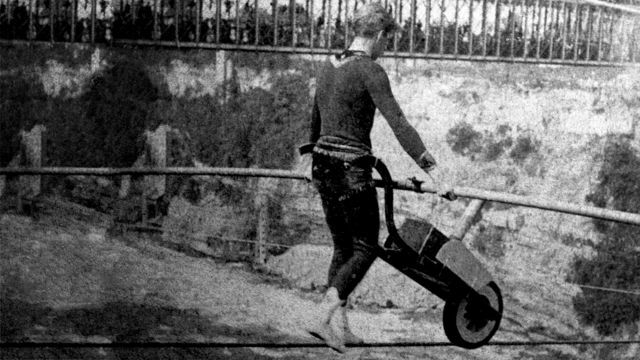 Blondin walks a quarter mile across a tightrope blindfolded, pushing a wheelbarrow. The crowds cheer until he invites a volunteer to hop in the wheelbarrow for him to do it again. The crowd goes quiet, no one accepts the invitation. 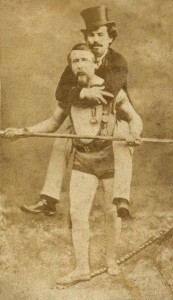 However, in August of 1859 his manager, Harry Concord, climbed on Blondin’s back and rode across the falls. It’s one thing to believe, it’s another to to trust, to have faith. There once was a man who had two sons. The younger son says to the father that he wants his share of the inheritance now. This is horribly offensive, asking for something like this can split a family, and can turn your community against you. While it would be quite uncommon, it’s not unprecedented. There are actually ways to handle this situation should they come up. First, if there is an older son, it is his role to quell this issue, to talk to the younger son and preserve the family. Second, the father has the right and ability to say no. However, if the father should decide to give the inheritance now the son receiving the inheritance will actually receive less as the father still has to have funds to live on (which means that the older son would actually get more as his inheritance when the father passes). So, the younger son obviously wants something from the father, he’s basically said, Dad I wish you were dead, the only good you are to me is what I’ll inherit from you. I want it now. However, the older brother should be stepping in here, but he doesn’t. He wants stuff from the father as well. They have their father there with them, but they don’t really want him, they want his stuff. This story reminds me and many others of another story in the gospel of Luke, the story of the demoniac from Luke 8:26-39. Crowds begin to follow Jesus, so he crosses the Sea of Galilee to a foreign country (notice from the prodigal son story the son gathered his belonging and traveled for a foreign country). 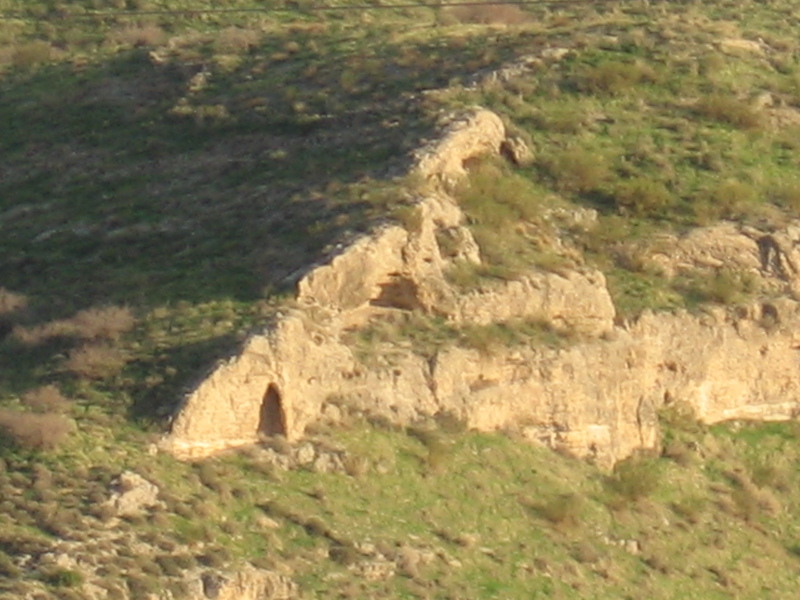 Jesus encounters a man filled with many demons living among the caves and tombs. Here is a picture of that area. Jesus sends the demons into a heard of pigs (notice from the prodigal son story the son winds up feeding pigs). And of course one of the big things is that in the prodigal son story the father spots the younger son a long ways off and runs to him. Jesus came to the demoniac, he didn’t come to Jesus. Then, after the demons have gone out into the pigs we have a mass swine suicide as all the pigs go charging off the cliff and into the water. The locals come to the scene, see the man in his right mind, and do they celebrate? No. They have Jesus there, God is in their midst, and they are more worried about their livelihood (the pigs) than they are about encountering God in this moment. As a matter of fact, they are filled with fear and they send Jesus away. They have God right there with them, and they are more concerned about stuff. Sounds a bit like the two sons doesn’t it. They want stuff from the father, but the father simply wants them. When the younger son returns home there are all kinds of ways the father could have reacted, but he doesn’t. The father could be out working, getting on with life. The father could stand there with arms crossed, stoic, saying nothing but communicating condemnation through his stare. He could rant and rave. He could say nope, you blew it. You wanted your inheritance, you got it, now go survive. He could say you’re darn right you’re not worthy to be called my son. He could say, okay, deal you can be a servant. But he doesn’t. Instead he is waiting and watching for his son, and when he spots him a long ways off he runs to him. His son wanted stuff from him, but he simply wanted his son. The older son refuses to go into the party, he too simply wanted stuff from the father, and what we see the father doing is pleading with his son to come in and celebrate. The two sons are just alike, they simply go about it from a different way. The younger son tries to get what he wants through rebellion, the older son tries to get what he wants through compliance saying, I’ve stayed here all this time slaving for you and you never even gave me a goat. But to the father all his slaving is meaningless because even though they wanted stuff from the father, the father doesn’t want anything from his sons. 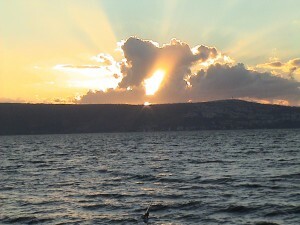 Here is a picture of the Sea of Galilee, notice that you can actually see from one side to the other. I think a lot of times we think of the son traveling around the world, but actually he didn’t have to go that far at all. And maybe part of the lesson here is that God can be close, and yet we can be very far away. The older son never even leaves home, buy by the time the story is over he’s actually farther away from the father relationally than the younger son who rebelled and physically went somewhere else. Sometimes our rebellion separates us from God. Sometimes our obedience separates us from God. And the question becomes, what do you want? Do you want things from God, or do you simply want God? The brothers, they both have a relationship with the father, but there’s a difference between having a relationship and really connecting. Do you want stuff from God, or do you value above all that deep, intimate relationship with God? And can you trust that God is really as good as the father in the parable? Can you trust God with all those things you want? Because one of the lessons we learn from this story is that we don’t really know what we want. May you trust that God is truly that good, and is worthy of your trust. May you surrender your wants, desires, and anxieties to God. And may you have a deeper, more fulfilling experience of God than you ever imagined. So, there was a man who had two sons. The younger says to the father that he wants his share of the inheritance now (a very 1st century Jewish way of saying, I wish you were dead). The father could say no, but he doesn’t. The father actually does it, he gives the younger son the inheritance. The son then goes to a foreign country and wastes his wealth in wild living. Then a famine comes in. Having spent his wealth and being hungry, the son hires himself out feeding swine. He is so hungry in fact that he longs to eat what he’s feeding the pigs (yum, sounds delicious). But then the son comes to his senses, and realizes it would be better to tuck his tail between his legs and head home. He prepares a speech, “Father I’ve sinned against heaven and against you, I’m no longer worthy to be called your son.” As he’s coming home the father spots him a long way off, runs to him, throws his arms around him, and begins kissing him. The son tries to get out his speech, but the father isn’t interested, he’s ordering rings and sandals and robes to be put on the son. He throws a party for the whole area because he is so glad his son that he had been so worried about had made it back home. But, the older brother hears the party and refuses to go in. The father comes out pleading with the older son to come in. But, the older son is upset, saying that the younger had gone off and squandered the wealth and in return gets a party. He, the older brother, on the other hand has done everything right and never even got a little party for his friends. Part of what strikes me about this story is the speech the younger son prepares, “Father, I’ve sinned against heaven and against you, I’m no longer worthy to be called your son.” There’s something in that word, worthy, that just stands out to me. I almost want to sit down with the younger son and go, let me get this straight, before you were worthy to be called his son, now you’ve messed up and you’re no longer worthy to be called his son? Is that how parent/child relationships work? Is it about earning attaining, and achievement? And we don’t just see this with the younger son. It’s implicit in the older brother’s response – he’s squandered your (our/my) wealth, whereas I haven’t. It’s as if he’s saying he isn’t worthy to be called your son and have a party thrown. I am. I’ve done all the right things, I’ve done everything you’ve asked, and even though I’m worthy you haven’t done even a small get together for me and my friends. Now, the father in the story represents God, just in case you didn’t know. And while I find this dynamic, this use of the word worthy quite odd, I have found this is what we are often tempted to do. Sometimes we tend to think of ourselves as unworthy of God’s love because of what we do or don’t do. Sometimes we tend to think of ourselves as worthy of God’s love because of what we do or don’t do. I have heard people say that they couldn’t come into a church because of the things they have done. That if they came in the roof would collapse of God would strike them with lightning. Yet, the image that Jesus paints of the Father is completely different. This father has been sitting watching, waiting for the son to return. He spots him a long ways off and runs to embrace him. We tend to give our love based off of what people do. We tend to assign worth to people based off of accomplishments and/or personal interactions. But even we get out of this rut sometimes. This is my boy Sam. He is 5 years old, and hasn’t earned me a single dime. As a matter of fact, he’s cost me quite a bit of money. He hasn’t made a bunch great accomplishments, or done anything to merit being worthy of my love. And yet, he’s my boy, and there’s nothing on the planet worth more to me than him. There are times he makes choices that aggravate me and there are times I’m disappointed in decisions he makes. But the reason I have those emotions are because I know what he can be, and I want so much more for him than what he’s choosing in that moment. The fact is, there is nothing he can do to make me love him more, and there’s nothing he can do to make me love him less. My love for him and his worth to me does not work in the scale that the two sons from the story seem to think it should. 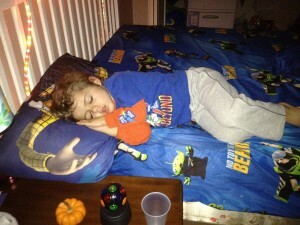 And when I see this picture, I don’t simply see my son. What I see is just a glimpse of what God feels toward us. Only, what I’ve found is that God feels this so much more toward us than we could ever imagine. Life is a gift. Each moment, each breath, each conversation, each glimpse of beauty and experience of wonder is a gift given by a heavenly Father who says that everything He has is ours. God is looking for an excuse to throw a party, and each moment we are invited to join in. May you see God in the way Jesus presents the father in the story. May you know that your worth is not found or lost in what you do or don’t do. May you know the grace and love of God in an intimate way. May your eyes be opened to the party that is being thrown, and may you join in it. Welcome to the new, revised site. If I can get myself into the discipline of blogging (something I really haven’t done over the course of the last very hectic year) then I really have some great things in store. The revisions are not finished, mainly right now there is a new aesthetic and the old posts, but I will be working on constructing the site to fill it on out. Since I don’t yet have the other pages built out and ready to go here is a bit about me for those who don’t know me. 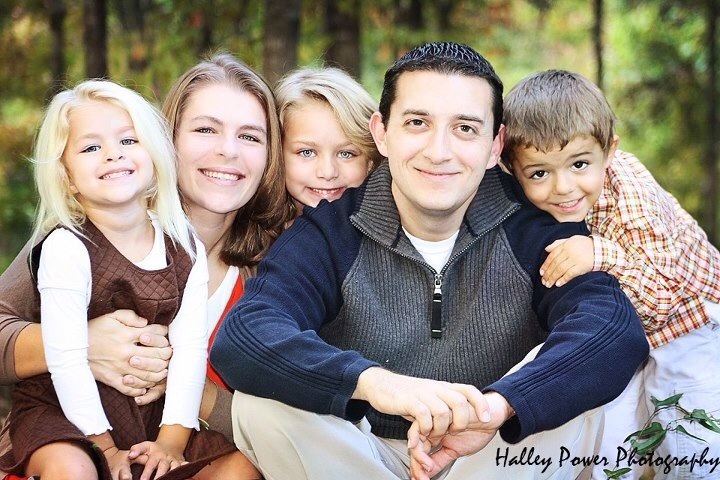 Husband of one and father of three, I work full time for a family resource center, teach Ethics part time at a community college, own and run a website business (we focus on building top of the line professional websites for smaller churches that couldn’t afford the site from larger companies) and I will be back in the saddle serving as pastor come June. For now enjoy the stuff I have previously published, hopefully I’ll have some new stuff up soon.